Heading into the holiday period can mean heading into weight gain if you are not careful. For many of us, this could put a damper on spending time with family and friends. Think about it: research from the National Institute of Health has shown that, from year to year, a pound or two can be added as you go through the holiday season. If you do not stay on top of this, this can become a problem over time. However, if you are careful and incorporate some simple rules, you can enjoy the holiday and eat right at the same time. Therefore, here are some simple rules that can work. First of all be realistic. 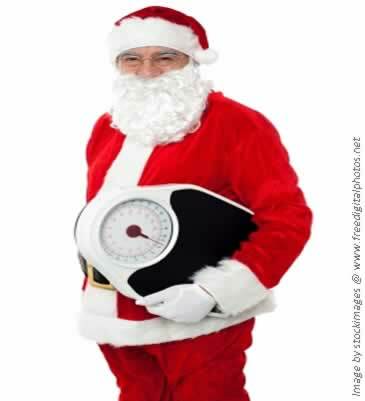 Do not try to lose pounds during the holidays; instead try to maintain your current weight. Make holiday fun and less about food. Put together events that are not all about eating or even mostly about eating. If you enjoy baking and candy making, use if for activities such as holiday crafts. You can make gingerbread houses, candy villages, and decorations. Share those meals with others in your community. Take a walk and see how your neighbours are decorating their houses. Plan some fun games. Time together does not have to mean overeating. Are you planning to diet during the holidays? Do not try it. Focus on a goal that is attainable, like being aware of and maintaining your current weight. Be that person who brings a healthy holiday contribution to the party. That way you can ensure that they healthy meal is good and good for you. Do not try a “compensation eating strategy.” What is that? It is skipping meals because you are expecting a big holiday meal or party. Chances are that you will get to party and overindulge because your stomach is empty. Have a light meal of healthy food before you go to the party and you will avoid the urge to binge. Do not just shovel the buffet food onto your plate. Take a quick inventory and take your favourite foods, providing some of those favourite foods are fruits and veggies. Whether you are drinking alcoholic or non-alcoholic beverages, take it easy. Alcoholic beverages can contain a lot of calories and can cause one to lessen self-discipline towards eating. Non-alcoholic beverages are not much better, they contain calories and sugar. Add a little exercise to your holiday list. It not only will help you keep the weight off, it can create a nice little diversion from holiday chaos. Make it something simple and straightforward, like a nice brisk walk for 10 to 20 minutes. Let the turkey or the goose get stuffed during the holidays, not you. Enjoy your favourite treats, but keep portions small enough. The object is to enjoy these favourites, not push the limits. Did you not listen to our advice on slowing down at holiday meals? Well then, slow it down at the next meal. In order for you to gain a pound, you would have to overeat by 500 calories a day over what you should be eating. So one overindulgence is not going to cause you to gain a pound, if you compensate for it at the next meal. There are plenty of healthy meals that can be prepared that will are both traditional and good for you. If you put some healthy cooking into these holiday traditions, then you can enjoy your traditions without gaining weight. Refrigerate your gravy and harden the fat. Remove the fat and serve. This simple process will reduce 56 grams of fat from your gravy. The more your dressing is bread, the more calories that you will be dealing with. Adding healthy also can mean adding taste to your dressing. Try some onions, celery, cranberries, celery, apples, or vegetables. Add apple-sauce and some low fat chicken or vegetable broth. 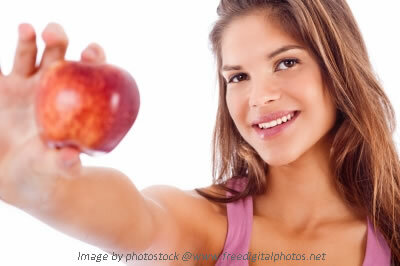 Take the skin off your turkey and you will reduce your fat intake by 3 oz. per serving. Make a delicious green bean casserole with fresh green beans and potato slices, avoiding cream soup. Replace the fried onion rings with almonds. Make your mash potatoes tasty and healthy. Replace the whole milk and butter with skim milk, parmesan cheese, broth, garlic, or garlic powder. Healthy Holiday Nog: Here is a nog that will work for you. Four bananas. 1 ½ cups plain non-fat yoghurt, 1/3 teaspoon rum extract. Blend these ingredients together. Top with some nutmeg. Tasty Nog done, diet intact. Ahh, the desserts. You know you cannot have a good holiday without some happy endings to some meals. So let’s be sensible about it. Make your pumpkin pie crustless. Substitute two egg whites for every whole egg that is normally in baked recipes. Rather than heavy cream, use evaporated skim milk in your cheesecakes and cream pies. Replace the frosting on those cakes with fresh fruit, fruit sauces, or a sprinkle of powdered sugar. So enjoy your holiday without the guilt. Eat healthy and you will not have those regrets at the end of the season. Moderation, substitution, and enjoying some things that do not involve eating. Do this and you will enjoy the holidays without the guilt. Happy healthy holiday eating & a merry Christmas to you! How do you control your weight & eat healthily during the festive season? Share the post or give us “like” by using the buttons on your left to show your appreciation, thanks. 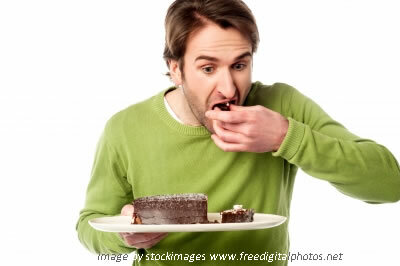 That Switzerland eats the most chocolate equating to 10 kilos per person per year! Keep up to date with our new posts by following us of Twitter or Facebook, simply click on the links below.